Candidates are required to apply Online by using the website http://www.upsconline. nic.in Detailed instructions for filling uponline applications are available on the above mentioned website. NOTE 1: The applicants are advised to submit only single appliation; however, if due to any unavoidable situation, if he submits another/multiple applications, then he must ensure that application with the higher RID is complete in all respects like applicants’ details, examination centre,photograph , signature , fee etc . The applicants who are submitting multiple applicantions should note that only the applications with higher RID (Registration ID) shall be entertained by the Commission and fee paid against one RID shall not be adjusted against any other RID. 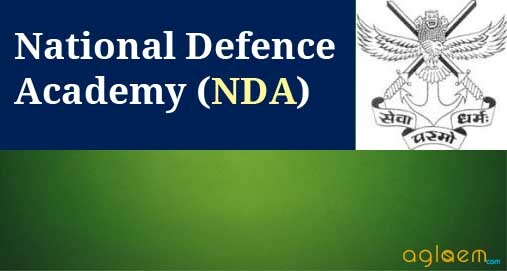 NOTE-2: All candidates whether already in Government Service including candidates serving in the Armed Forces , Sailors [including boys and artificers apprentices) of the Indian Navy, Cadets of Rashtriya Indian Military College [previously known as Sainik School, Dehradun), Students of Military Schools formerly known as King George’s Schools) and Sainik Schools run by Sainik Schools Society, Government owned industrial undertakings or other similar organisations or in private employment should apply direct to the Commission. Cadets of Rashtriya Indian Military College[ previously known as Sainik School, Dehradun), Students of Military Schools formerly known as King George’s Schools) and Sainik Schools run by Sainik School Society are required to inform their Head of Office//Department, Commanding Officer,Principals of College/School concerned, as the case may be, in writing that they have applied for this examination. Candidates should note that in case a communication is received by the Commission from their employer/authority concerned with holding permission to the candidates applying for/appearing at the examination,their applications will be liable to be rejected/candidatures will be liable to be cancelled. NOTE 3 : WHILE FILLING IN THE APPLICATION FORM, THE CANDIDATE SHOULD CAREFULLY DECIDE ABOUT HIS CHOICE FOR THE CENTRE FOR THE EXAMINATION. IF ANY CANDIDATE APPEARS AT A CENTRE OTHER THAN THE ONE INDICATED BY THE COMMISSION IN HIS ADMISSION CERTIFICATE, THE PAPERS OF SUCH A CANDIDATE WILL NOT BE VALUED AND HIS CANDIDATURE WILL BE LIABLE TO CANCELLATION. NOTE 4 : APPLICATIONS WITHOUT THE PRESCRIBED FEE (UNLESS REMISSION OF FEE IS CLAIMED AS IN PARA 4ABOVE) OR INCOMPLETE APPLICATIONS SHALL BE SUMMARILY REJECTED. NO REPRESENTATION OR CORRESPONDENCE REGARDING SUCH REJECTION SHALL BE ENTERTAINED UNDER ANY CIRCUMSTANCES .CANDIDATES ARE NOT REQUIRED TO SUBMIT ALONGWITH THE IR APPLICATIONS ANY CERTIFICATE IN SUPPORT OF THE IR CLAIMS REGARDING AGE , EDUCATIONAL QUALIFICATIONS, SCHEDULED CASTES/SCHEDULED TRIBES/OTHER BACKWARD CLASSES AND FEE REMISSION E TC. THE Y SHOULD, THERE FORE , ENSURE THAT THEY FULFILL ALL THE ELIGIBILITY CONDITIONS FOR ADMISSION TO THE EXAMINATION. THEIR ADMISSION TO THE EXAMINATION WILL ALSO THEREFORE BE PURELY PROVISIONAL. IF ON VERIFICATION AT ANY LATER DATE IT IS FOUND THAT THEY DO NOT FULFIL ALL ELIGIBILITY CONDITIONS, THEIR CANDIDATURE WILL BE CANCELLED. THE RESULT OF THE WRITTEN PART OF THE EXAMINATION IS LIKELY TO BE DECLARED IN THE MONTH OF JULY, 2014.
taking the representation , if any, submitted by the candidate within the period allowed to him in to consideration.